Unzip and copy to ~/.themes and use the GNOME Tweak Tool to switch theme and titlebar. To switch the theme manually, you will have to use the dconf-editor in GNOME 3. You can fine Gnome Tweak Tool Here. 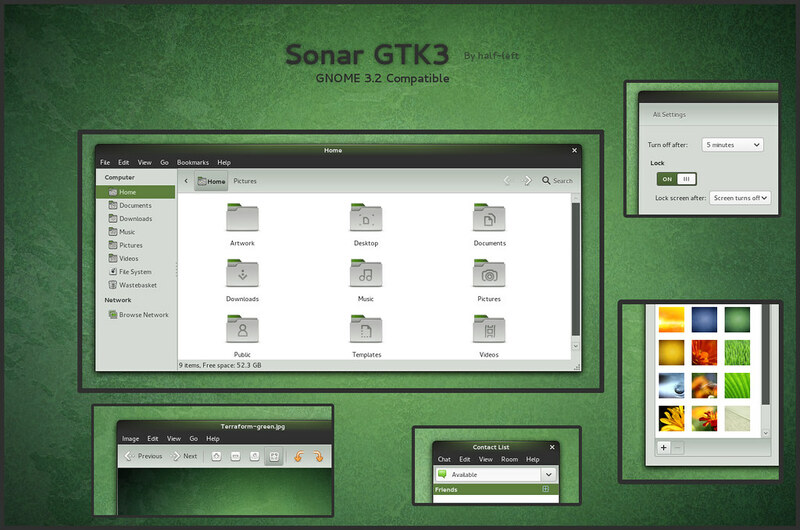 -This is a GTK3 port of Sonar used by default in openSUSE. 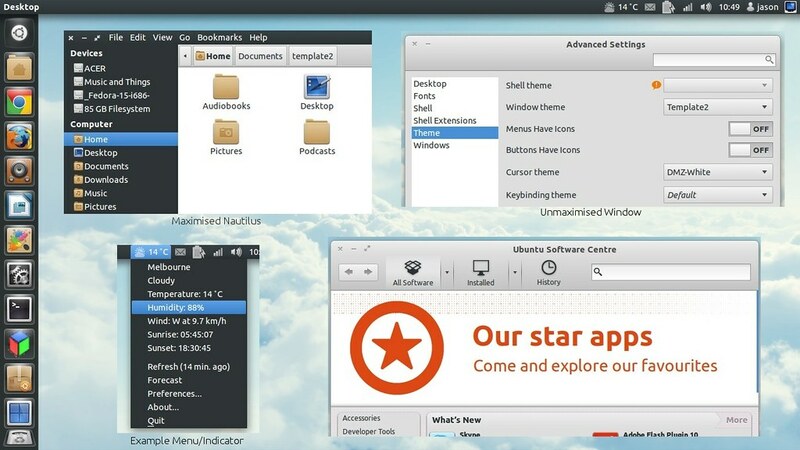 -The theme comes with the metacity theme and the GTK2 version. 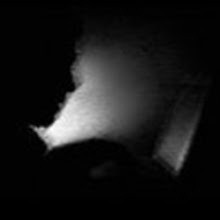 License and authors are in the theme directory. 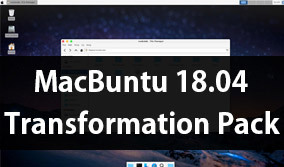 Note that the metacity theme and GTK2 theme are not my work, just distributed via GPL. -Wallpaper: Terraform-green (part of the official GNOME backgrounds).